When you are enjoying Pompano Beach deep sea fishing in or around beautiful Pompano Beach, FL with Happy Snapper, South Florida's top affordable deep sea fishing charters, you can rest assure that your choice between either of our two vessels will be a luxurious deep sea Pompano Beach adventure that you won't soon forget. 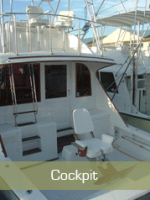 With his boat building background, Captain Harold is able to keep the "Happy Snapper" and "Happy Snapper Too" in excellent Pompano Beach deep sea fishing charters condition. 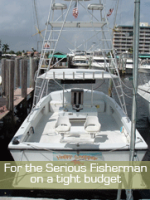 This assures you he's able to provide a worry free vessel for your deep sea fishing charters in Pompano Beach. This 46' Post Sport Fish has been fully restored by the skilled hands of Captain Harold. He keeps the boat well maintained so its in excellent shape when you arrive for your fishing adventure. 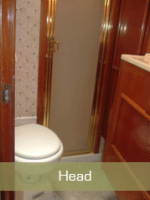 The extremely luxurious "Happy Snapper Too" offers fully air conditioned accommodations with two staterooms. There's a full galley with stovetop, microwave oven and upright refrigerator. The spacious salon includes a flat screen TV, DVD player and surround sound stereo system. Of course there's a large fishing deck with a fully cushioned fight chair. 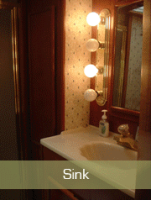 The master Stateroom has a double bed and a private bath with shower. 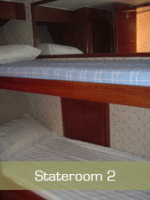 The second Stateroom has two double bunks and a private bath with shower. The "Happy Snapper Too" is the Queen of the Sands Harbor Marine. She's a safe stable vessel able to accommodate you, you're friends and the massive catches you harvest from the deep blue seas. Fish on a budget, without giving up quality and excitement. The Happy Snapper is a 30' Aqua Marine Island Hopper with a Caterpillar Diesel engine. She's Tournament rigged and ready, with outriggers, downriggers, a 23' tuna tower, two cushioned fight chairs, fresh and salt water wash down, and a forty gallon live well. Amenities include ample cooler space for your record catch and whatever beverages you need, dry storage and a clean head. She's the Princess of the Sands Harbor Marina. A sleek beauty who awakens the beasts below, arousing them into a feeding frenzy, for the sportsmen's pleasure.